Home › Personal Injury › Auto Accidents › Is the adjuster on your side? Many injured parties hope that the adjuster will do the right thing and be fair. They hope that they won’t need to hire a personal injury attorney. If you are placing your trust in the adjuster, then your trust is misplaced. The problem is that the adjuster is never on your side. The adjuster is always on the side of their employer, the insurance company. They are trained to do whatever they can to reduce the value of your case to save the insurance company money at your expense. Is it ok to wait to hire an attorney until the adjuster acts unreasonably? This is normally not the best approach. The cost of hiring an attorney is normally on a contingency fee meaning that for personal injury claims the attorney fee is a percentage of the settlement. It does not save you any money by waiting until settlement negotiations to hire an attorney. However, this delay can create significant exposure to you for a mistake that could jeopardize your case. Many people think that they can start negotiations and then pull out if they don’t like the offers. This is possible, but negotiating blindly not knowing the laws, the value of your case, or the exact policy limits for your claim is risky. Another important factor to know is that the adjuster will set the reserves based on how much they think your case is worth. If you are not represented, then their settlement value evaluation is often far less. Once the reserves are set, then litigation is often required because the adjuster has dug in at a lower value. Hiring us as soon as possible after the accident will greatly increase the likelihood that you will recover more and that you will not need to litigate. 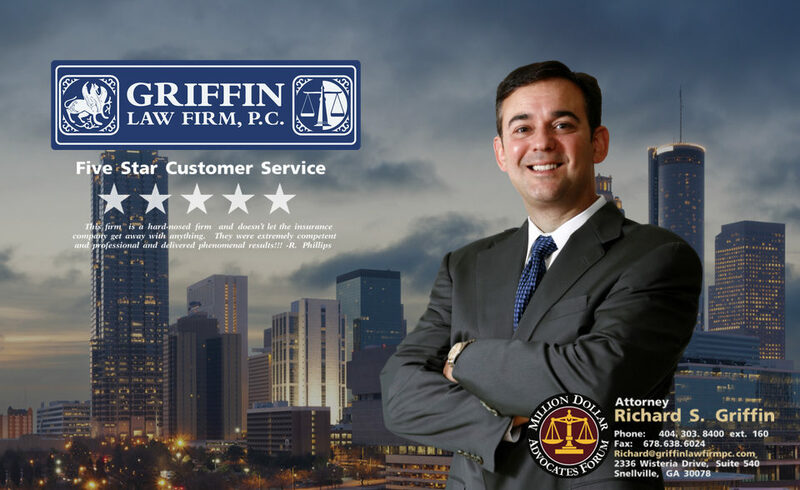 What is the benefit of hiring the Griffin Law Firm? We are here for you. We have the answers to your questions and the knowledge and experience needed to make sure your are fairly compensated for your claim. If you have a personal injury claim, then you are in a fight with a strong opponent, the insurance company. The good news is that you can even the playing field and know that you have attorneys that you can trust that will protect you and make sure your claim is resolved in the right way for you. Free Consultation: Call us today at 877-524-7070 or 877-PAIN-LAW so that we can evaluate the settlement range of your case for free and so we can explain how we can help you get the personal injury or wrongful death recovery that fully compensates you for your claim.